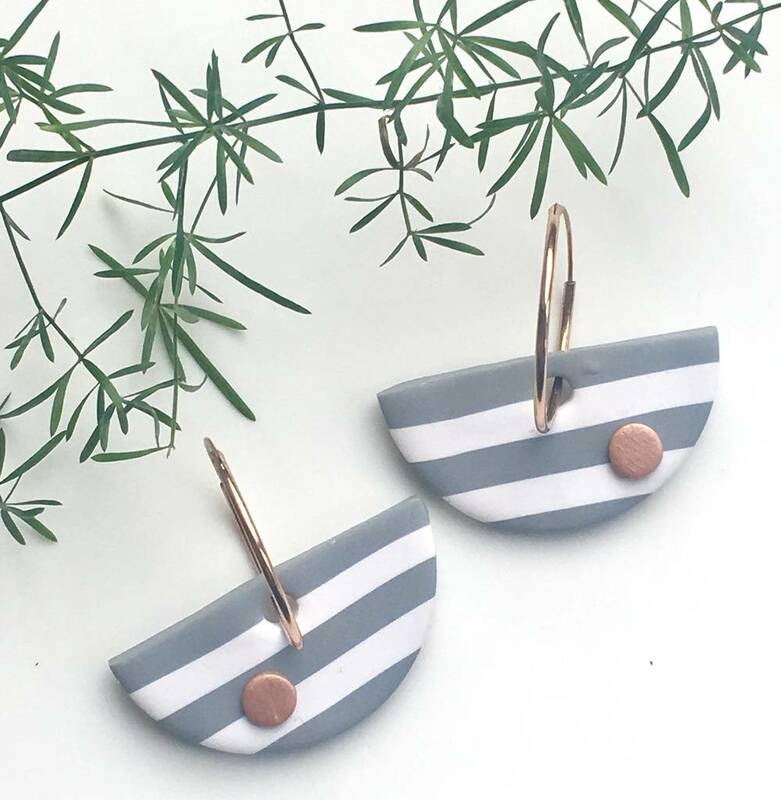 Make a statement with our bold, stripey geometric earrings, made in your own unique colour combination. A gorgeous gift, or special treat for yourself. As part of our new Ghanish Range, inspired by the vibrant colours & patterns of Ghananian cloth...with a contemporary geometric English twist (Ghan-ish), these are available in a wide range of colour combinations to make a striking accessory to any outfit. Choose the colours of the stripey semi circle & the colour of the dot & earring hoop to create a unique colour combo. Packaged in a gorgeous fingerprints gift box, a tag is also enclosed that explains the story behind our name & a proverb to encourage & inpsire. The earring back is made of sterling silver, gold or rose gold with handcrafted polymer clay components. (The rose gold is sterling silver with a rose gold vermeil). Wipe clean with a soft damp cloth/silver cloth. The semi-circle part is 4cm in diameter. This product is dispatched to you by Fingerprints.